Would you stand in front of a truck to stop injustice? If you were pressed to contemplate such an extreme action, wouldn’t you want to have accurate information first on how serious of an injustice was being committed? I certainly would, and that is why our research group at Stevens Institute is partnering with students to collect air pollution data at the site of the proposed marine garbage transfer station (MTS) at East 91st Street in Manhattan. The site is next to Asphalt Green, a large community center used by thousands of children for outdoor recreation. We are looking forward to providing high school students from the community with detailed data on air quality and how it changes if the MTS is built and begins operations. [NOTE: initial measurements are online now in a new post]. 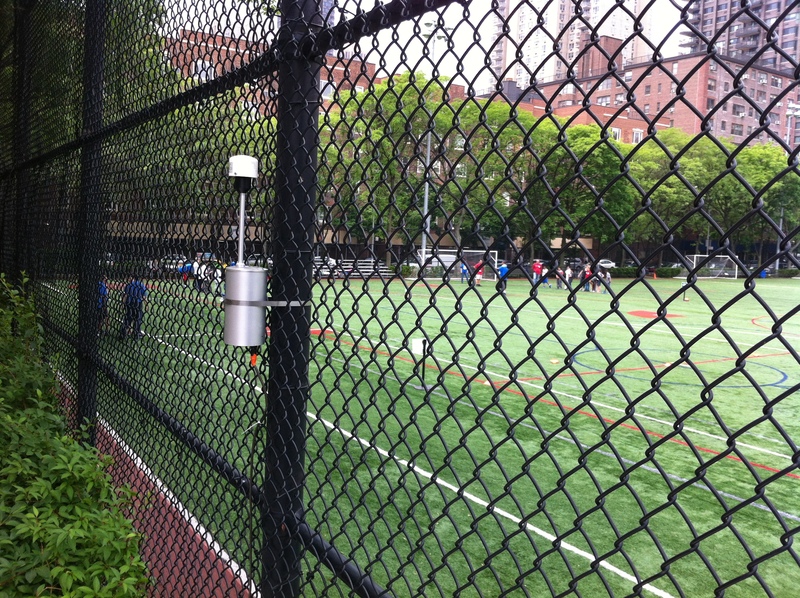 One primary question with the MTS is whether or not it makes air pollution worse, and this can be evaluated very simply by local students using the data we collect. If air quality significantly worsens, the data can be used to help push the city or state DEC to change operations at the MTS. Special Condition No. 45 in the NY State Department of Environmental Conservation (DEC) permit for the MTS holds that the garbage trucks must have the “best available retrofit technology certified to achieve reduction of diesel particulate matter emissions by 90 percent or greater.” However, it appears that if the city outsources the garbage collection to outside parties, which has been mentioned as a possible future plan, they will have no control over truck emissions. Also, Condition No. 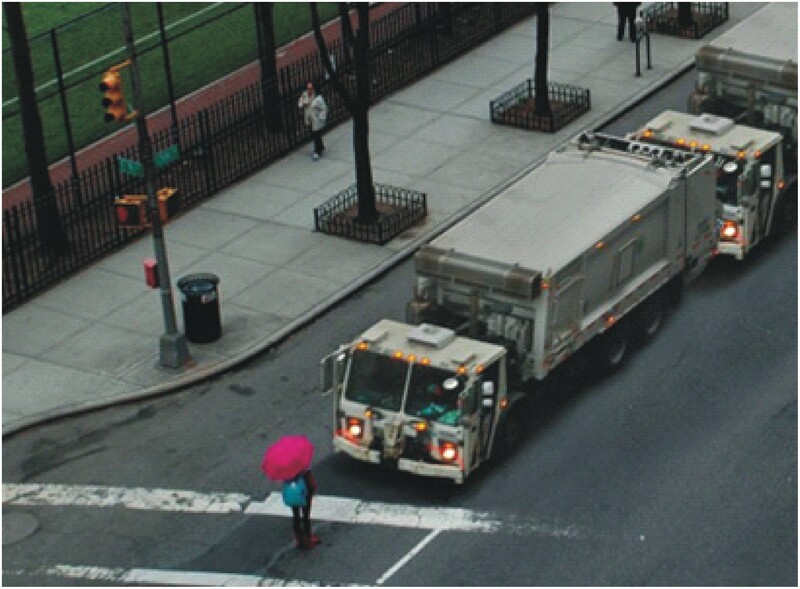 36 of the combined draft permit bars garbage trucks from queuing on public streets outside the facility (permits and hearing summaries are available here). Having hard data that shows worsened air pollution could help force The City to switch to cleaner, quieter vehicles, and what could be more effective than letting students tell the story themselves? 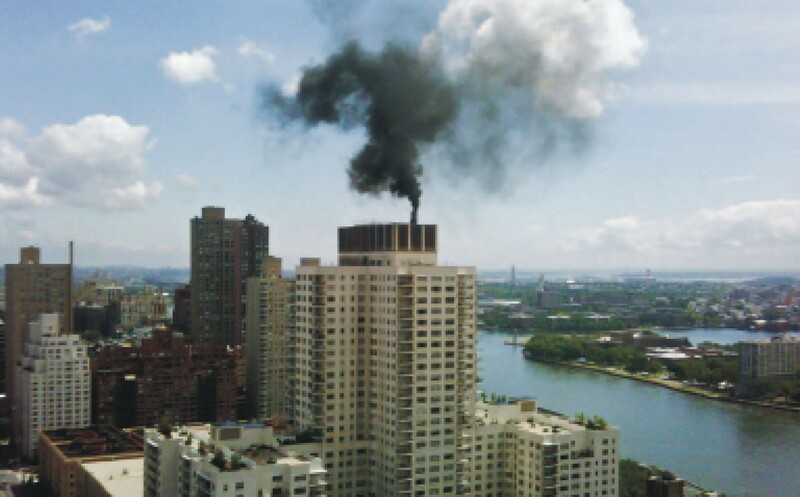 There are other existing sources of air pollution in the area, including heavy highway traffic and buildings that burn dirty fuel oil, which has been shown to be responsible for 50% more air pollution in New York City than that from traffic. The map below shows buildings still burning dirty fuel oil around Asphalt Green and all those children. New York City’s PlaNYC 2030 lays out a strategy to reduce air pollution of this sort and achieve the cleanest air quality of any U.S. City. The building I live in has made the switch to natural gas, so why haven’t the buildings surrounding Asphalt Green followed suit? 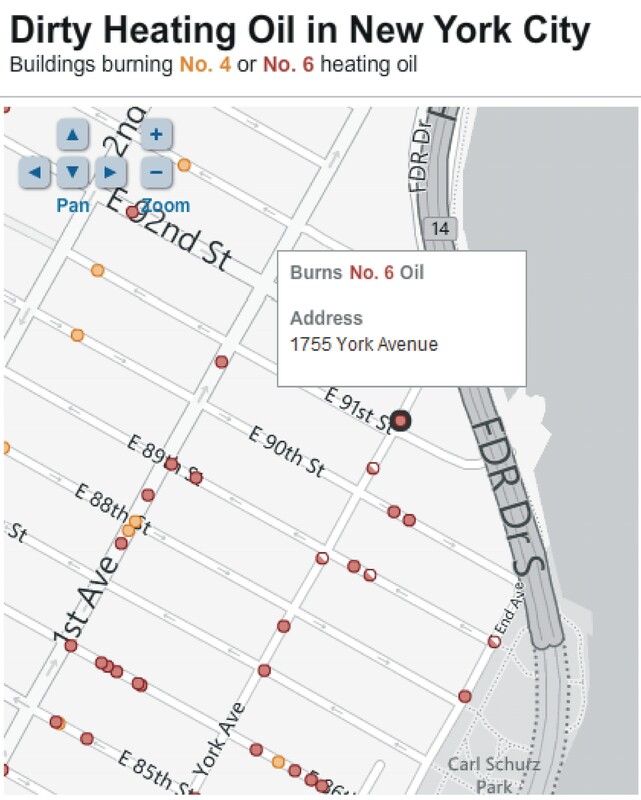 Map of buildings burning dirty fuel oil in the blocks surrounding Asphalt Green and the proposed MTS site, from a mapping tool on Environmental Defense Fund’s website. Not only can the data collected at the site help kids protect themselves from possible air quality deterioration due to the MTS, it can also be used to help identify the relative seriousness of these other pollution sources. In the case of the dirty fuel oil used by some buildings, the evidence could be used to encourage building owners to switch over to much cleaner fuel sources like natural gas. Getting back to the issue of justice, there is the thorny ethical question of whether one community should take on the burden of worsened environmental conditions to help others. However, nonprofit groups addressing injustice related to the siting of environmental hazards like garbage dumps and highways in disadvantaged communities strongly support the MTS and the entire NYC Waste Management Plan. Environmental groups have also sided with The City due to their wishes for broader reductions in air pollution across the city and globally due to the movement from trucking to marine transportation. Armed with the data we collect, the community will be empowered to take action to defend its air quality in the future, hopefully preventing anyone from having to stand in the path of garbage trucks. This entry was posted in air pollution and tagged 91st Street, air quality, Asphalt Green, asthma, barge, dump, East Harlem, environment, garbage, heating oil, justice, Manhattan, MTS, New York City, particulate, solution, transfer, trash, truck, Yorkville. Bookmark the permalink. Very impressive. Please blog about the results.